Finally got to do one of the PNW epic rides yesterday with Juston Manville! We’ve been waiting for a weekend were we both have free time at the same time, plus good weather. Saturday was most certainly that day. 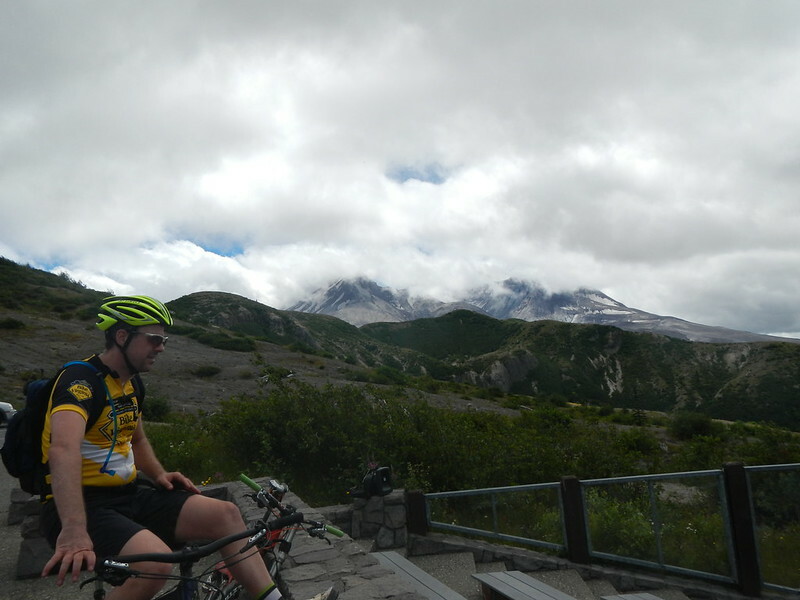 After watching the finish of the Tour stage, we hit the road for the hour(ish) ride to Mount St Helens. It’s really not that bad of a drive in the grand scheme of things. 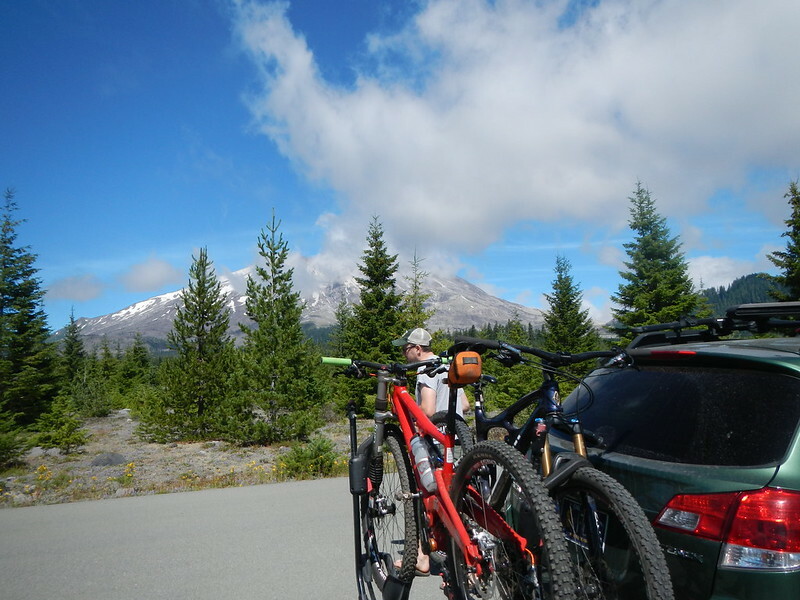 After driving up the forest road to the climbers bivouac and up to the Ape Canyon trailhead we hooked up with a brother and sister doing the same loop as we did. This was their 4th time, so we had some people with knowledge. Always a good thing. Driving up through Cougar we were below the clouds and were wondering if we’d be riding in mist and clouds. 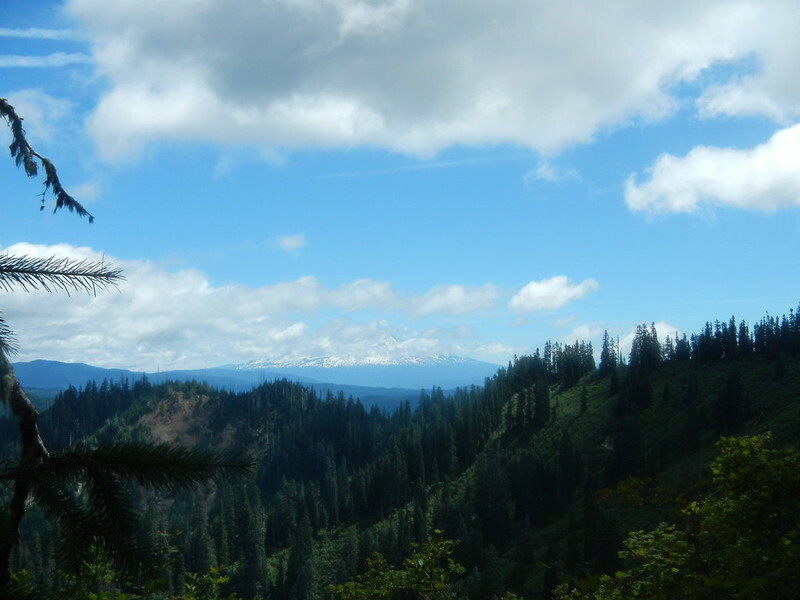 About 2-3 miles heading up towards Ape Canyon we cleared the mist and came out into bright sunshine and mild temps. The Plains of Abraham loop is 25 miles with 6,000′ of elevation according to my Garmin. There is plenty of exposure on the shoulders of St Helens, and is a ride I would not want to do under poor conditions or sweltering heat. 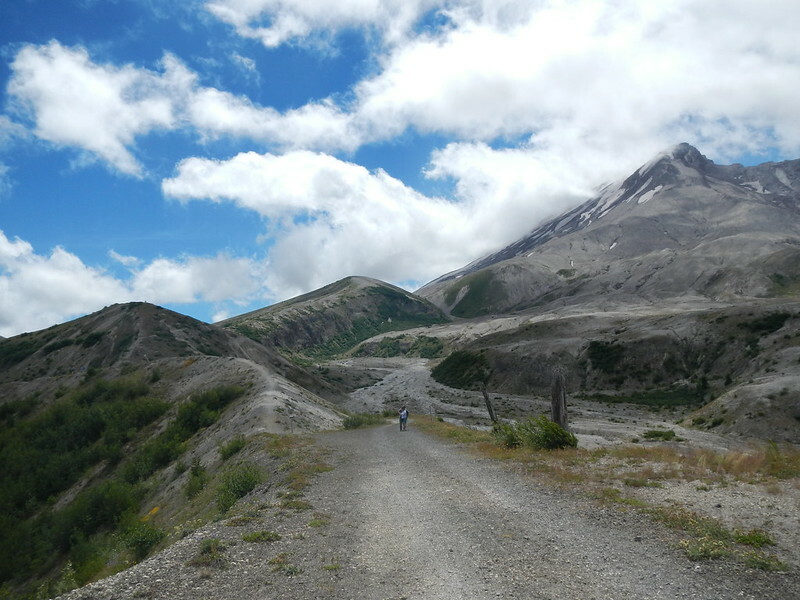 After about 4.5 miles you clear the wooded trail and hit the open spaces that were devastated during the 1980 St. Helens eruption. 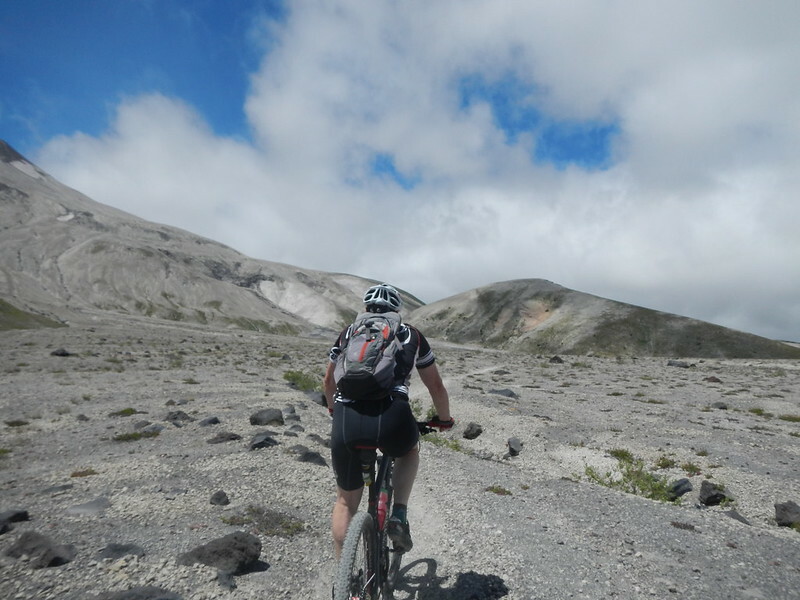 It is very dusty and the riding is a mix of small rocks that shift under you as you ride them. It’s a weird feeling at times, and quite unlike anything I have ever ridden before. Kind of like riding through beach sand, but not really that soft. See the trail winding in the background? 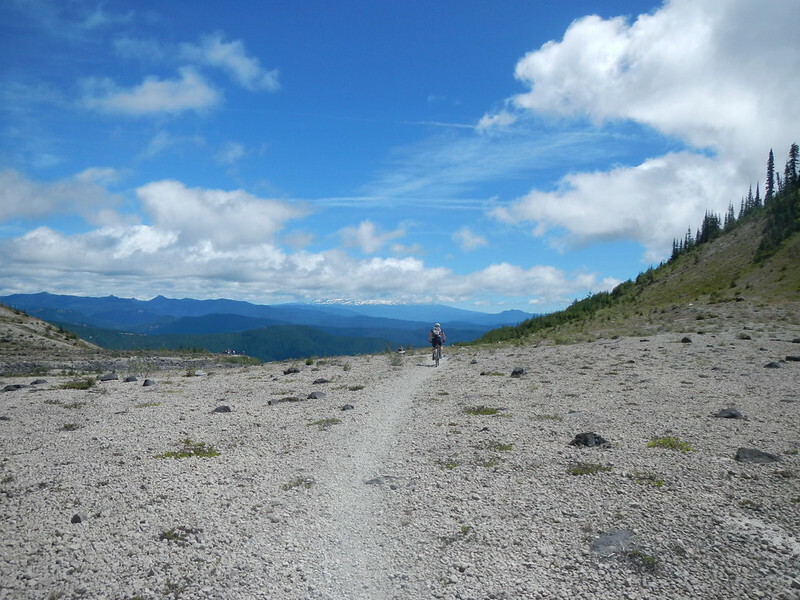 Once you get above treeline, the wind can be quite refreshing after the long climb. It can also be a bit chaotic at times with some pretty strong gusts. For the most part the riding is fairly “easy” as far as technical abilities go. 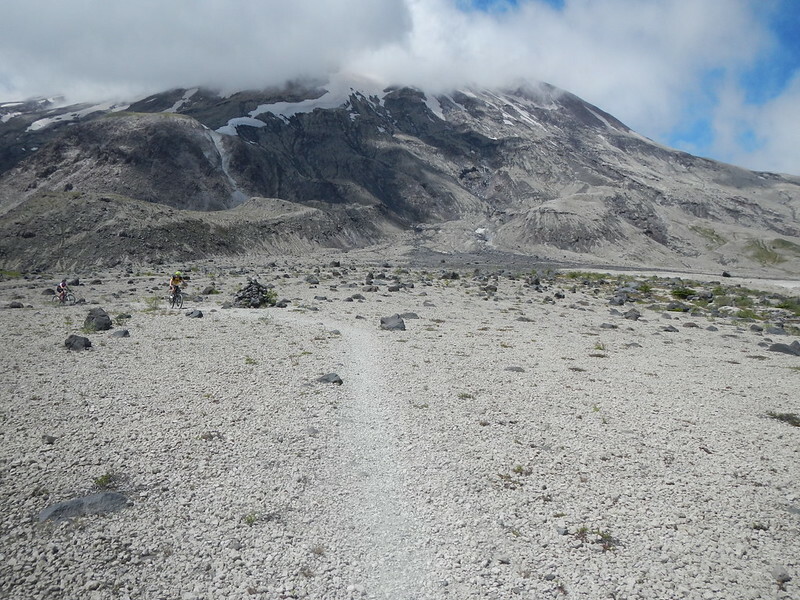 In 25 miles, there are of course some sections that require more than beginner skills, but you could walk those too if you needed. The larger rocks you see here were probably once part of the mountain top before it blew up. Like nothing I have ever ridden before! Our clockwise approach comes up the opposite side of the eruption and then heads around towards the crater and some incredible views. This ridgeline section was awesome! We came down the ridge to the left above, and you can just see the crater from the eruption coming into view on the upper right. 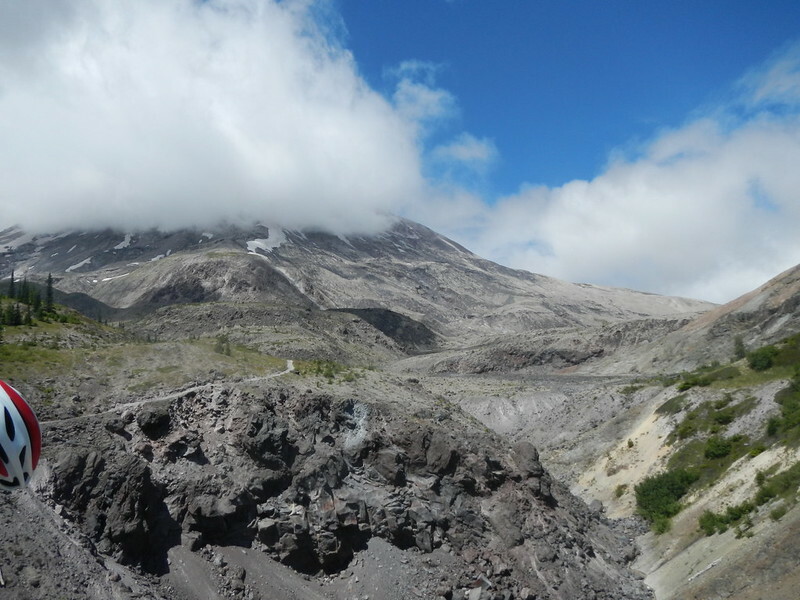 The mountain lost 1,300′ during the eruption! From this point it was 12-13 miles back to the car. 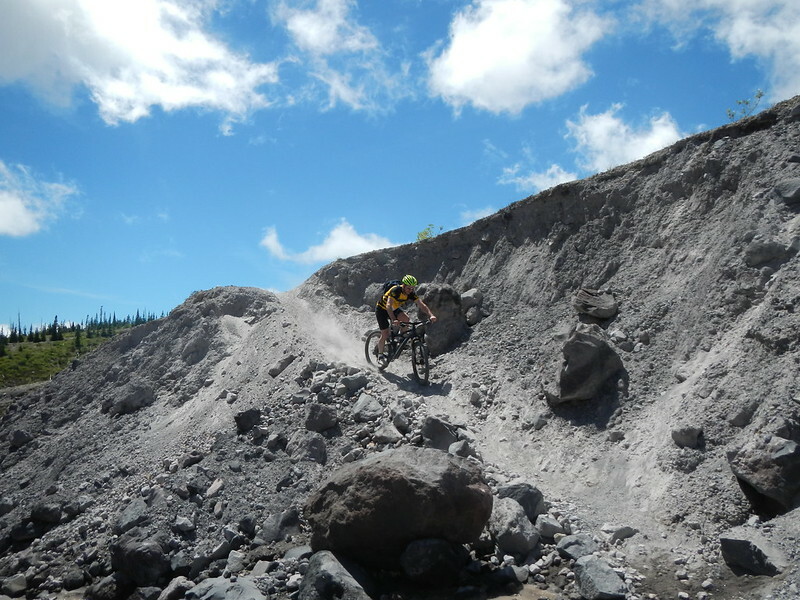 The loop option takes you down the Smith Creek Trail, which for the first 3-4 miles of riding is loose rock and ash and can quite tricky to ride. It took a lot of concentration. 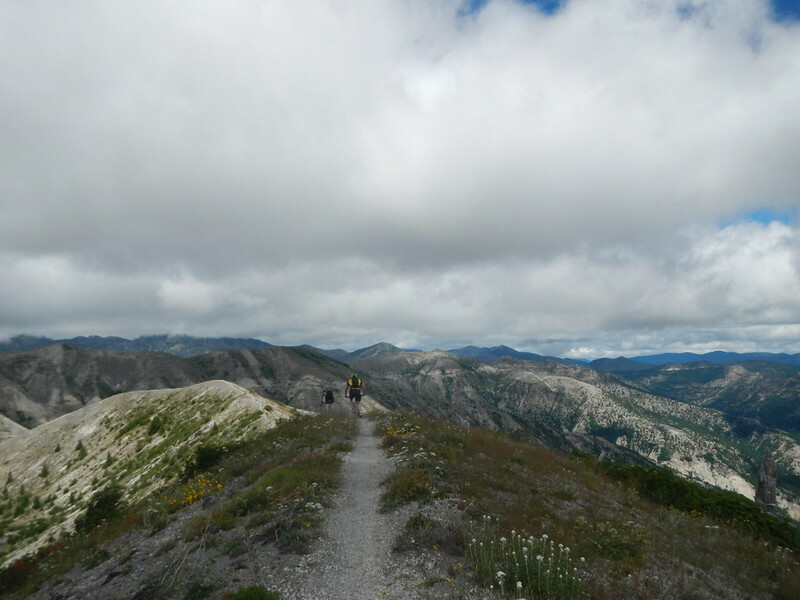 We discussed quite a bit if the more traditional route of an out & back on Ape Canyon trail would have been better. There were sections of the last 10 miles that made the loop option worth it though. Even an extended section along the river that reminded me a lot of east coast riding. 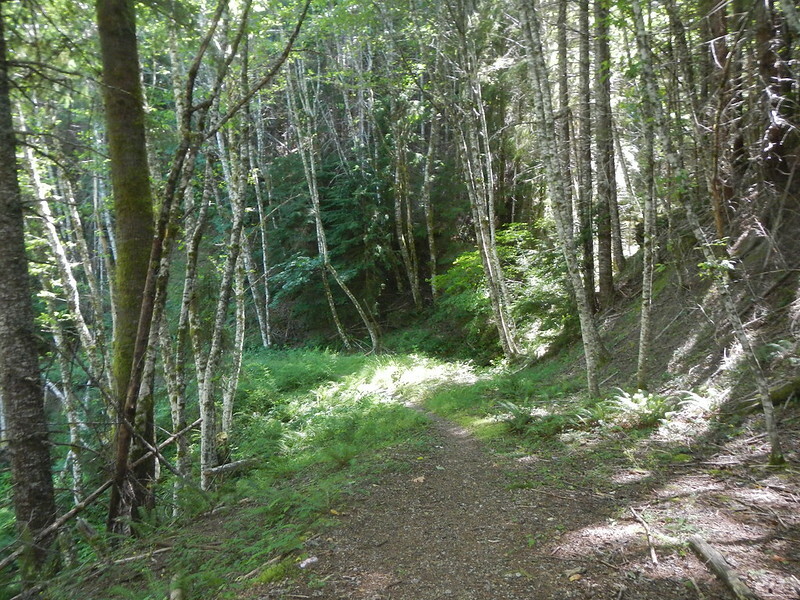 The last 3 miles ends with a climb up the old abandoned forest road. Not super technical or steep, but quite the grind after 22 miles. This was quite a ride. Definitely in the “epic” category. We’ll be back for more that is for sure.